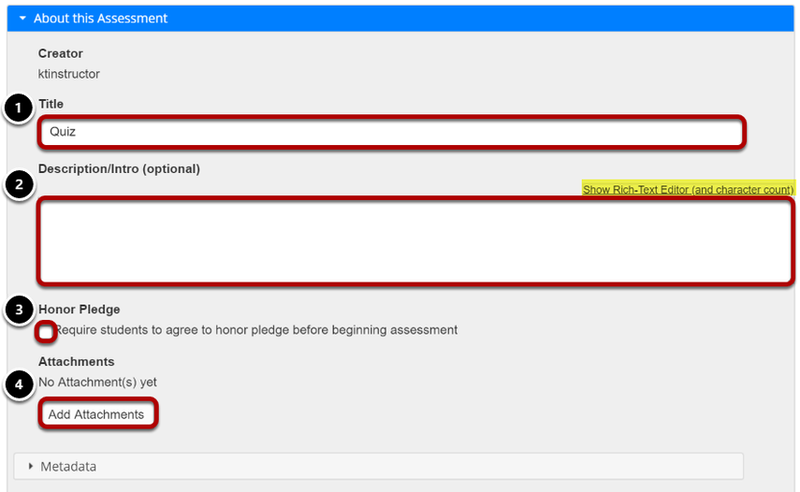 Sakai Community DocumentationSakai 19 User Guide (English) Tests and QuizzesHow do I edit my assessment title or description? Add a Description/Intro. Anything you enter into the Description/Intro field will be visible to students before they begin the assessment. Notice that the Rich-Text Editor is available in the Description/Intro field.